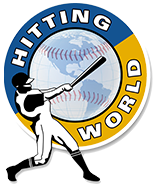 Hitting World - Training Aids, Batting Tees, Pitching Machines, Batting Cages, Nets & Screens, Wood Bats, Artificial Turf and more top-of-the-line Baseball & Softball training equipment! You are here: Home > Search for "diamond"
Diamond DBP leather baseballs are an ideal choice for batting practice for any age level, from little league through college ball. Diamond DMBP baseballs are specifically designed with low, reinforced seams for durability and accuracy. Cork & rubber pill center with A-Grade Grey Wool Blend Winding. Made with low-seam stitching for pitching machine consistency. These durable leather softballs work great in softball pitching machines and are a more realistic practice ball vs traditional dimple softballs.